a key element of our business plan and model has been to have a tasting room where people can stop by to purchase and sample beers produced on-site. 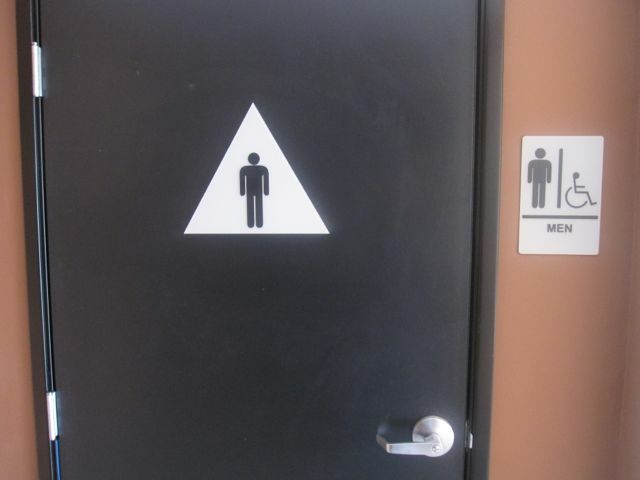 we received a conditional use permit from the city for such a use. we requested to have open hours to the public on Thursday and Friday evenings and Saturday and Sunday afternoons/early evenings. we have been working on this room and always had a particular vision for it. but given our ever-decresing limited budget, we had to find that balance bewtween affordability and a particular aesthetic. below are pictures of what the room currently looks like. we have in our plans to cut out and place an 8ft x 4ft window on the wall looking into the brewing area (red rectangle). my home kegerator is substitute-dispensing for a larger/longer kegerator in the near future. these beams were what we found under the ugly drop-down ceilings. 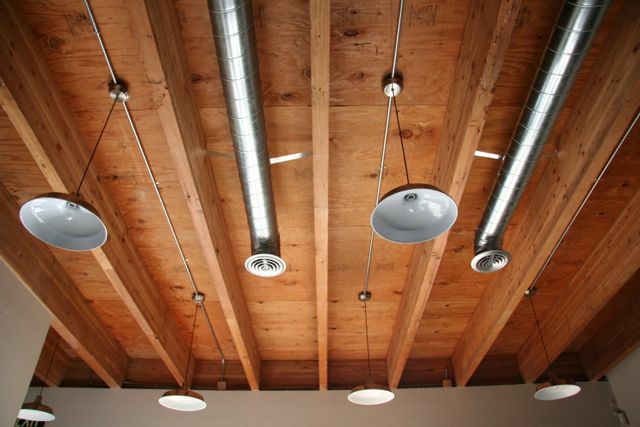 we cleaned them up, installed dimmered warehouse pendant lights and exposed AC vents. a church pew we purchased from a lovely family in the San Francisco area. 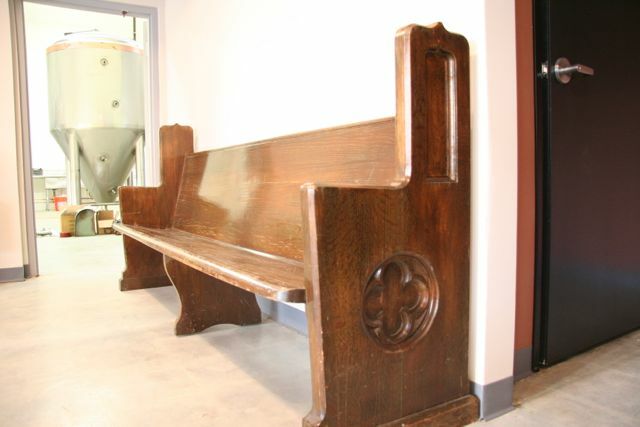 this pew was built for a church (Mission Park Congregational Church) in SF in 1909 using local wood. what makes it even more special is that the sides of the pew have our logo carved on them!